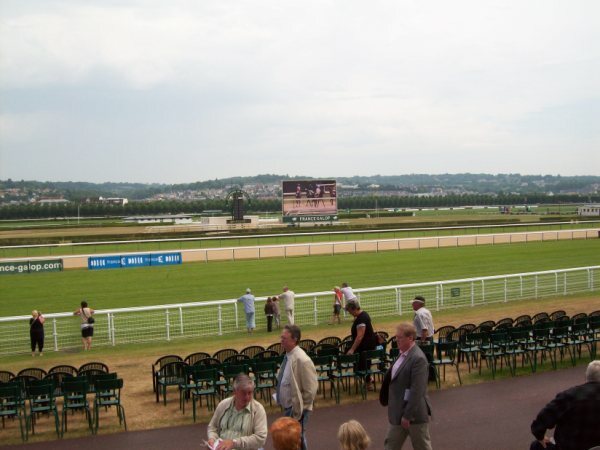 Over September several key prep races were run leading up to the 2015 Prix de l’Arc de Triomphe to be held at the historic Longchamp Racecourse in Paris, France on October 4. Free bets sites have just released some of the best odds for this race that will be run at 2400 metres for a purse exceeding €5,000,000. Since all of these prep races were won by horses that were expected to win, it's clear that this year's field could lead to one of the deepest fields in recent race history. Here's a rundown of this weekend's action. In this one, all eyes were on two-time Prix de l’Arc de Triomphe champion Treve, and the brilliant mare did not disappoint. She used that amazing turn of foot to simply destroy a group of high level performers in an absolute gallop. After winning her third race of the year in three tries (Group 1 Grand Prix de Saint-Cloud, Group 2 Prix Corrida), Treve looks set to defend her title. Odds-makers and free bets across Europe have her at odds-on in the 6/4 range. Earlier on the card, Prix du Jockey Club - Group 1 (French Derby) winner New Bay earned himself a spot in the Arc with an easy 2 1/2 length win over rivals at the same distance as the Prix Vermeille. In fact, New Bay's time was more than four seconds faster than Treve's winning time. This well-built 3-year-old colt is trained by André Fabre, which makes it surprising to see the colt listed as the second free bets favourite at 6-1. Trainer Luca Cumani's Postponed, who took the King George VI And Queen Elizabeth Stakes back in July, came back and recorded his second big victory in a row to earn a place in the starting gate on Arc day. Postponed should be looked at a nice price play since his time was faster than that run in the other major prep races run at Longchamp. He is currently listed by odds-makers at 20-1. While Sunday belonged to the French, all eyes for Saturday were at the Curragh in Ireland were the brilliant 3-year-old colt Golden Horn was set to avenge the first loss of his career. After bumping stablemate Free Eagle with about 200 yards to the wire, Golden Horn was able to hold off the fast-closing Found for his third Group 1 victory of the year. The stewards reviewed the tape and determined the bumping incident did not affect the outcome. The John Gosden trainee is currently listed at 7-1 on free bets sites across Europe, though Gosden might scratch the colt should the ground come up soft. In a race marred by the fatal injury of multiple Group 1 winner Brown Panther, Order Of St George completed a big day for trainer Aidan O'Brien who also won the Ladbrokes St Leger with Bondi Beach. Order of St George romped by 11 lengths in a canter. While the 3-year-old colt could make a run in the Arc, O'Brien is looking at a run in the Champions Long Distance Cup at Ascot later in October. If that's the case, O'Brien could opt to give Bondi Beach a try in the Arc in order to keep his two charges apart.Regardless of which horses show up on the first Sunday in October, they are going to be facing one of the truly great race mares of all-time. Treve loves it at Longchamp and while her time was slowest of the three preps run at the distance, she looked to be toying with the field with a lot more in reserve. This article was written by horse racing fan Tony Samboras who is eagerly awaiting these and other races as he is a fan of many of the international races taking place this fall. Tony has contributed his horse racing knowledge to a variety of websites.